How Much Should I Pay a Handy Man and What are They Best For? 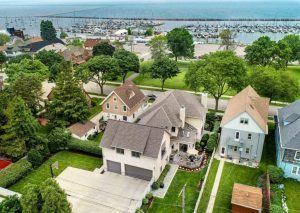 There are hundreds of Milwaukee real estate web sites out there, but most are just the same listings, over and over. Or just brokers advertising how wonderful they are, with little or no real information. The internet is the information highway and you want to be in the fast lane for buying or selling real estate in the Milwaukee area! 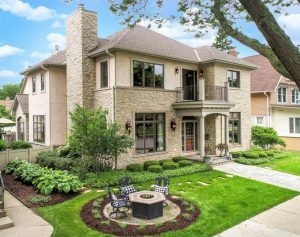 Thank goodness you’ve finally found Best Milwaukee Homes. Way beyond the standard list of Milwaukee homes for sale, our team offers the metro Milwaukee and Madison’s first, true real estate resource – from open houses (all in one place) to recently sold homes reports, free foreclosure listing portals, online appraisals, access to Greater Milwaukee and Madison property records and tax assessment information, community demographics, census reports, school rankings and reports, commute times, code compliance requirements, oil tank regulations, Senior Citizen support, mortgage lenders, mortgage calculators, map searching, for sale by owner listings, a Milwaukee real estate blog, first-time buyer classes, home staging tips, internet marketing, listing services buyer agency, MLS listings, exceptional homes and more. The most popular reports, such as the foreclosure lists and recent sales in your neighborhood, can be had with a click of the “Send” button! If you think it’s not here, look again! 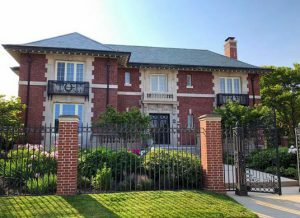 However, everyone knows that it can take a considerable while for your house to sell if you use a real estate agent and put yourself at the mercy of the local real estate market. Also, it does require you to proverbially kind of put your life on hold during that time. If you are looking to skip the hassles, wait, and inconveniences of listing your house for sale, then you should also check out a Wisconsin Direct Home Buyer like Finally Sold. Not only do they buy houses in Milwaukee, and Madison, but they also buy all over the entire state of Wisconsin too. Lastly, there is another solution that some home owners in Wisconsin opt for, and that is to sell your house For Sale By Owner. You could start off by merely getting a FSBO sign at your local Home Depot or hardware store. However, selling your home all by yourself comes with certain risks and hassles. There are also online networks that you could post your home to like FSBO.com, ForSaleByOwner.com, and Zillow. Should You Hire a Handyman? Handymen or handywomen are usually a great resource for your home. Whether you are just tackling a small fix up in the house or initiating a large-scale project at your home, the handyman always comes in handy. They are easily accessible anytime, and their rates are reasonably affordable. A handyman can be simply defined as someone who is skillful in the use of hands. 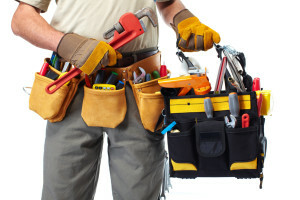 A handyman is skilled at in a wide range of repairs and services needed in a home. Their services include but not limited to general repairs, maintenance works and cleaning. A handyman is well suited to do both indoor and outdoor assignments for you. A handyman is considered very convenient for some small jobs at your home that you can’t do yourself. They are always close by and easy to find, and their charges will be much lower than the professionals. A handyman could be a well-experienced individual or a member of a company that offers these handyman services. What a Handy Man Does for You? As earlier stated, a handyman comes in to solve small repair work or some fixtures that may not require professional qualification. If you are not in a position to do these kinds of jobs, then you will need an easily available experienced person you have them done. The handyman comes in here. If you have some painting jobs for a section or an entire room that you can’t do yourself, and you feel it is not large enough to hire a professional painter, then let a handyman do it for you for a small fee. Most handymen are experienced in painting jobs that don’t need qualification. Do you have some furniture repairs and fixtures needed? Or a new door to be fixed? Well, a handyman can do all these small fixtures for you. While large structures will require a licensed builder, these small short time repairs can be well handled by a handyman for you. Be it fixing shelves or broken chair arms. Many handymen also offer cleaning services for their clients. If you have your patio decks or your pavements full of mud, you can hire a handyman. They will use a pressure hose to clear the mud and make it look just as clean as new. Placing hangings on your walls, dealing with TV or other heavy appliances in the house can be tricky if you are not sure of what to do. A handyman will come in handy to help here. They are well experienced, and they know how well to stick wall hangings and have your appliances placed in the right positions safely. How Much Should I Pay a Handyman? The cost of hiring a handyman varies with some factors. These include the kind of jobs they are to and how many days it will take. Accessibility of your home could also be a determinant. Most handymen charge a fixed fee per hour if the job is just one day. If your job requires more than a day, some handymen may charge you a daily fee. All this will greatly depend on the magnitude of the job done. In addition, to the fixed charges, you will also be expected to cater for their mileage. Averagely handymen will charge you between $30 and $45 per hour. This however will vary based on the above factors. When you own real estate, a handyman is very helpful for simple jobs like repairs that do not need professional expertise. They are easily available and quite cheap for property owners compared to using full service repair contractors. If you have a minor job for your house that you can’t do it on your own, a handyman will be the perfect solution. Make sure to have a written agreement on the cost of the entire job, with a detailed breakdown. © 2019 Milwaukee Home Buyers.